Everyone likes cash right? I know I sure do! That is why I am so excited about this giveaway. 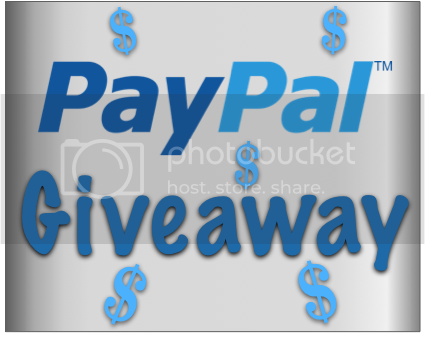 I have teamed up with 9 other awesome bloggers so we could bring you a $200 PayPal cash giveaway! I am so jealous because I would love to enter myself for a chance to win that money. This is a quick giveaway that ends in 5 days so be sure to get your entries in right away. It is open to residents of the United States and Canada only. Please use the Rafflecopter entry form below. Good luck! So what would you do with $200 if you won? I think I would either buy something nice for my hubby or put it away for our Disney vacation. Contest open to residents of both US and Canada. Entrants must be 18+ to enter. Winner will be chosen by Rafflecopter and contacted after contest ends. Winner has 48 hours to claim their prize. Money will be sent to winner's PayPal account. Blogger's not responsible for fee's taken out of the winnings which may make the winning amount less than $200 but by how much depends on your Country. Thanks for an awesome give away!!! Nice giveaway! I would probably spend half of it and save the rest for a rainy day. Thanks for having the contest!